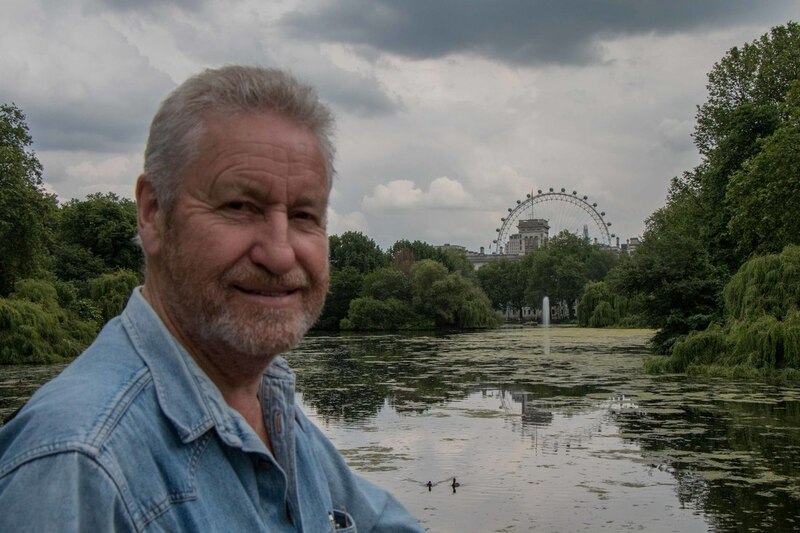 Two founding members of Heartstart Farnham Lions work alongside the town council to look at the placement and maintenance of defibrillators, or "heart restarters" in the town. Professor Tom Quinn, Heartstart Clinical director chairs the committee, which also includes representatives from the South East Coast Ambulance Service and the local St John Ambulance CFR group. “As a town Farnham has made great progress in raising funds for defibrillator heart restarter equipment and our key task now is to spread the word that CPR and early use of a heart restarter improve chances of survival in cardiac arrest," said Professor Quinn.The town has now included the defibrillators in its map, which went out in the recent resident's guide and can also be found online. Keith and Jo from the Heartstart team were surprised and honoured to receive the Melvin Jones Fellowship award last night, for their work with Heartstart. 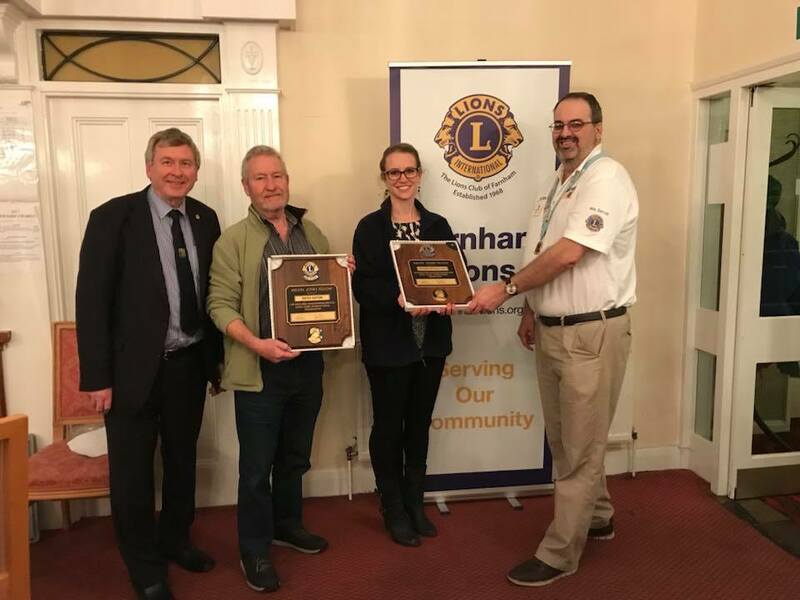 The award was named after the founder of the Lions - it is the highest form of recognition for Lions and embodies humanitarian ideas consistent with the nature and purpose of Lionism. 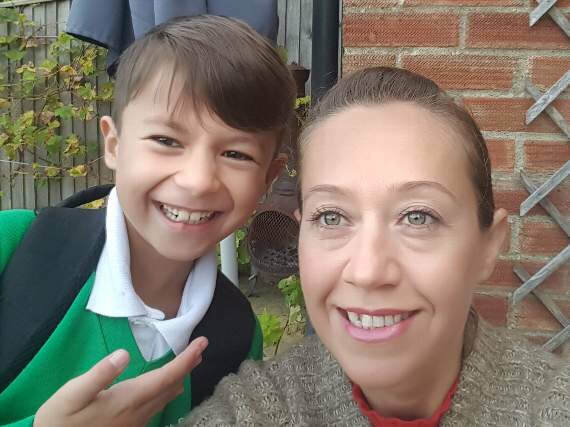 "We are delighted to receive this award, thank you so much" said Jo Michaelides. "Our work in the community has been incredibly well supported by the Lions, our thanks for believing in the importance of what we do." Heartstart are looking forward to reaching their 1000th trainee around April time and have bookings in the diary for local community groups, as well as the regular Wednesday classes. 15th November 2017: Heartstart Hits its 100th Class! ​Heartstart Farnham Lions held its landmark 100th class at the St John Ambulance Hall on Wednesday 15th November, five years after the scheme started. 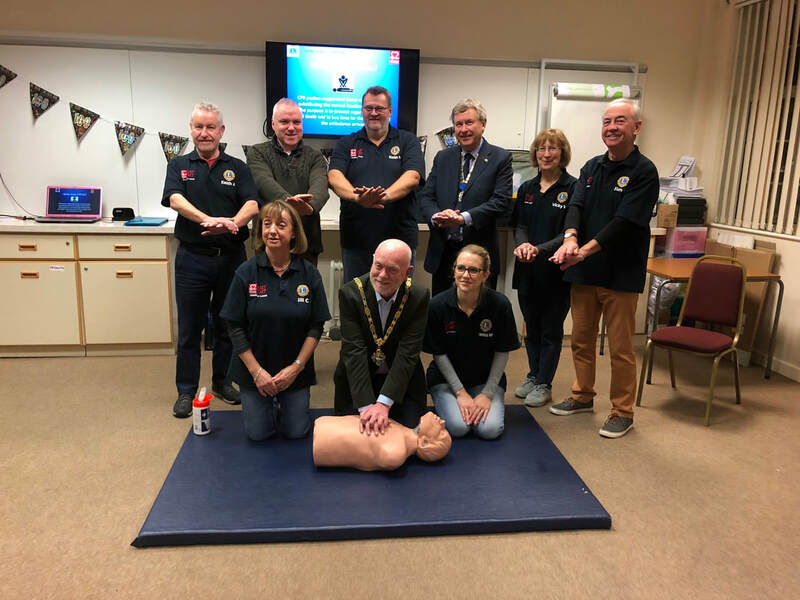 The team taught an enthusiastic group of participants, which included Lions’ president Andrew Lodge and town mayor Mike Hodge some of the simple skills which can save a life. “It’s incredible to see how far we have come since our first class in the ATC building all those years ago,” said founder member and trainer Jo Michaelides.